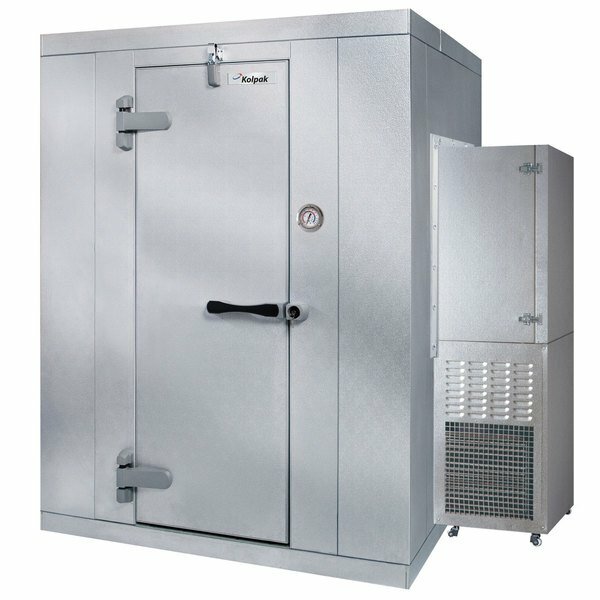 Keep bulk quantities of your refrigerated goods chilled to food safe temperatures with this Kolpak P7-108-CS walk-in cooler! 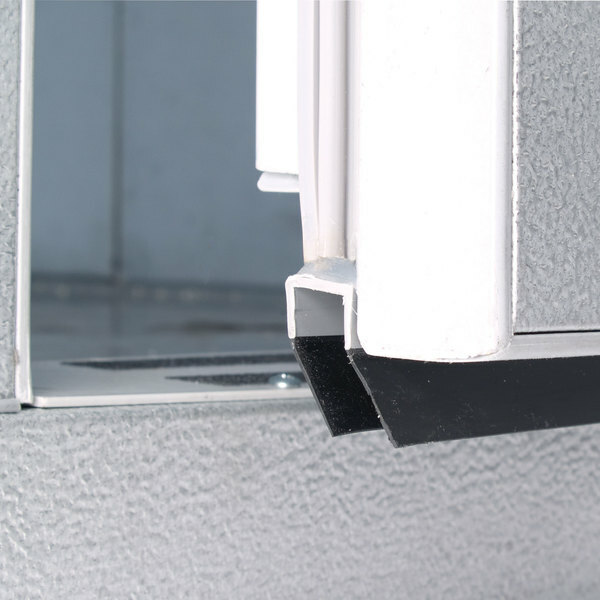 The self-contained 3/4 hp refrigeration system is mounted flush to the wall so that you can use 100% of your unit's interior for maximum space-saving efficiency. The system is extremely simple to install and features an automatic condensate evaporator to eliminate the need for a drain line and other plumbing, saving you money on the services of a plumber or refrigeration technician. 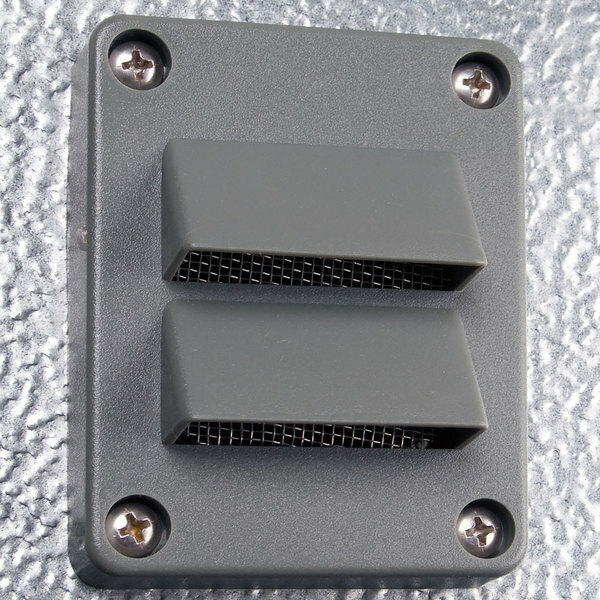 It uses R-404A refrigerant to maintain a temperature of 38 degrees Fahrenheit. 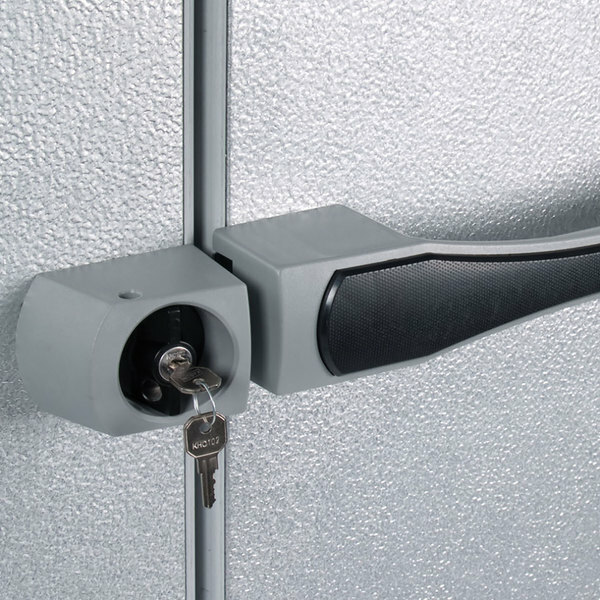 Workers can easily access the cooler's contents through the 26" wide door that boasts adjustable spring loaded hinges and a durable, ergonomic handle. 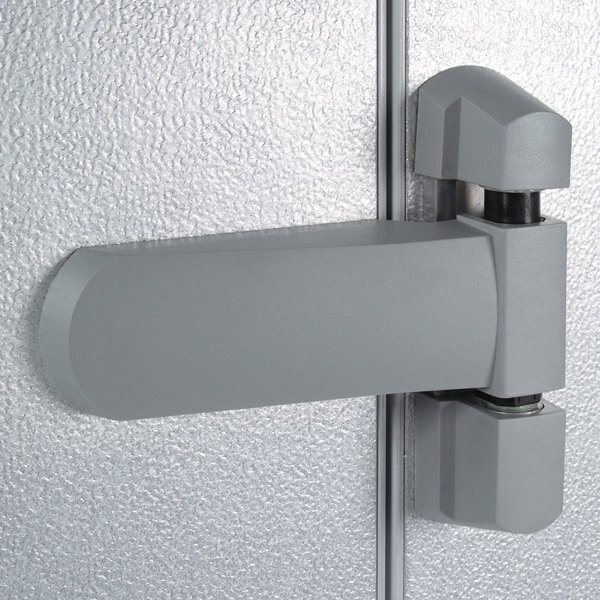 The door has integrated heater for added protection against condensation, while a safety release is also included inside the unit to prevent accidental entrapment. 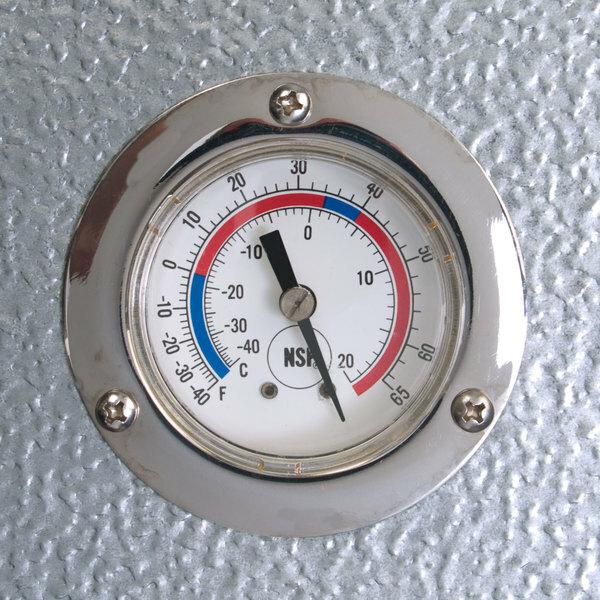 A 2 1/2" dial thermometer is mounted on the cooler's exterior for simple temperature monitoring, while the interior is illuminated by a vapor-proof interior light for easy product identification. 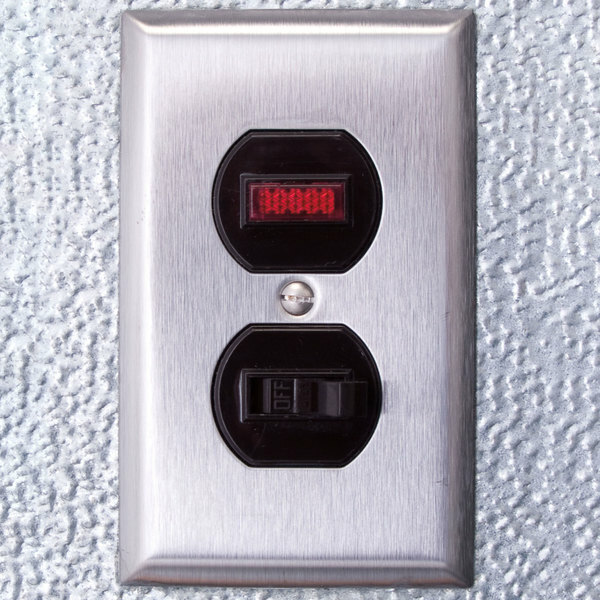 A 115V electrical connection is required for operation.